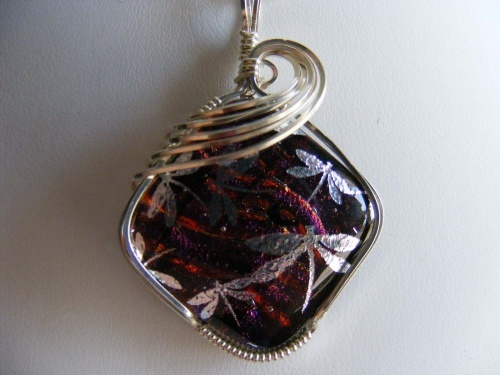 This handmade dichroic pendant is so uniquely colored it cant be seen in true color in the picture. Burgundy with slight colors of purple and whimsical little silver dragonflies fluttering on it. Piece measures 1 3/4" long by 1 1/4" wide and comes with a sterling silver chain.